Mice have been instrumental in the study of cancer, but like all animal models of human diseases, they have their limitations. For stomach cancer in particular, mice have historically been regarded as quite poor research organisms because rodents rarely develop spontaneous stomach tumors. But results from a new study are about to shake up the paradigm. An international research team led by the Department of Energy's Lawrence Berkeley National Laboratory (Berkeley Lab) have reported that a single lineage of laboratory mice could serve as a useful model of the disease after they observed a high rate of stomach tumors that developed without exposure to a carcinogenic substance or genetic engineering. A subsequent genetic analysis of the mice's tumors revealed that an inflammatory response regulating protein called Nfκb1could be a key driver of cancer susceptibility in this model and in humans. The findings have been published in the journal Gut. "We are excited to have identified a new mouse model for studying gastric cancer, which will serve as a pre-clinical model for therapeutic drug discovery and precision gastric cancer treatment," said Antoine Snijders, a biologist in Berkeley Lab's Bioscience Area and co-lead author of the paper. "This discovery opens a window for the development of new treatment options that are desperately needed – stomach cancer is the fifth most common type of cancer in the world." The promising new mouse lineage is from the larger Collaborative Cross (CC) mouse model, a population that was recently bred to have higher genetic diversity than past populations, and thus be more comparable with humans. To explore whether this diversity could identify novel models for human cancer, the authors monitored hundreds of mice from different CC strains for one year. They found that every single mouse in one strain developed tumors by the end of the observation period – stomach and lymphoid being the most prevalent types. "We expected the Collaborative Cross to be extremely valuable in identifying new models of human disease, and we were not disappointed to find many different pathologies," said co-lead author and Biosciences geneticist Jian-Hua Mao. After genome-wide analyses identified that these mice harbored DNA sequence variations in the Nfκb1 gene region, Snijders and Mao and their colleagues sought to explore how these variations translated into cancer-causing molecular irregularities. 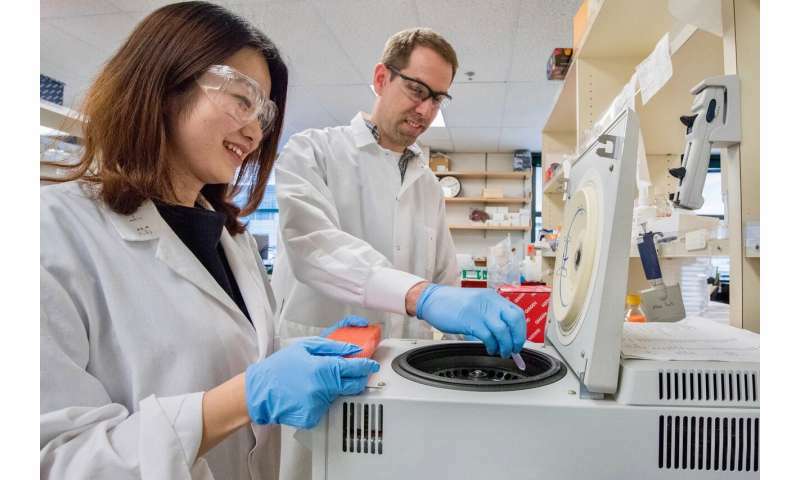 To do this, they collaborated with Berkeley Lab biochemist Susan Celniker, who examined the suite of genes that were expressed in the stomach tissue of the cancer-prone CC strain and compared them with the genes expressed in stomach tissue from healthy mice. A total of 166 genes were expressed differently in the cancer-prone mice. Notably, the human versions of these genes are also differentially expressed in human stomach cancer tissues. Because recent research has highlighted the key role of inflammation in the development of cancer, the team then narrowed their focus to the genes associated with inflammatory processes. Abnormal expression of a cluster of 19 inflammatory genes was found to be a signature feature of human and mouse stomach tumors. The authors hope that studies aimed at translating these findings into prevention strategies and therapies will be initiated soon.